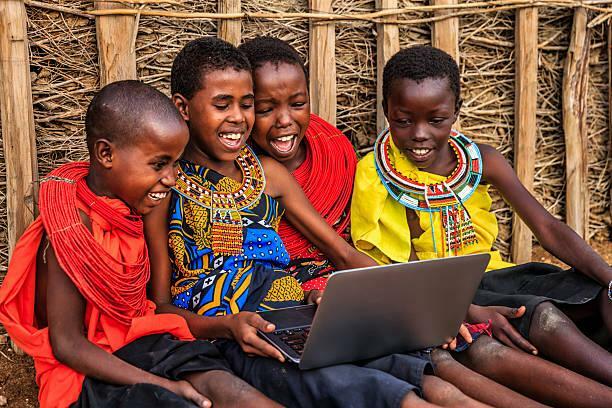 The number of people in the world with access to the internet is estimated at about 4 billion, but in several African countries, less than 10% of the population has access to it. In a ‘We Are Social and Hootsuite’ report released in 2018, Africa recorded the highest Internet access rates in 2017, with a 20% increase. However, nine African countries could not do better because they are on the list of the 10 countries with the least internet access in the world. Madagascar is the 204th country in the world with 1.9 million (7%) of its population connected to the Internet. Guinea-Bissau ranks 205th in the world with only 120,000 (6%) of its population having access to the internet. The size of the DRC population is the main reason why it is on this list. There are currently 5.1 million people in the country who have access to the internet, which represents only 6% of the population. The DRC is ranked 206th in the world. Burundi has only 617,116 (6%) of its population with internet access. This places the country at 207th in the world. The Central African Republic has only 5% of its 4.9 million inhabitants with internet access. This figure places the country in 208th place worldwide. The desert nation of Chad has only 5% (756,329) of its population having access to the Internet. As a result, the country ranks 209th in the world. Western Sahara is a region located within the territorial border of Morocco. Only 5% (28,000) of the 560,000 inhabitants of this region have access to the internet. As a result, the region ranks 210th in the world. Access to the Internet in the Republic of Niger doubled during the year, but the Internet user population is 964,440 (5%). This places the country at 211th worldwide. The worst country in the world and Africa in terms of Internet connection is Eritrea with only 1% (71,000) of its 7.1 million inhabitants having access to the internet.